Just a short while ago I was bemoaning the fact that everything in my garden seems so “white”, with white blooms everywhere and not much colour left, after the crazy flower-flush of spring bulbs had passed. Reviewing all the suggestions I was given of making my garden “pop” with colour once again, I decided I liked the idea of black petunias in and amongst all the white to create a “sophisticated” garden. As it usually happens when I am out looking for something specific, I won’t find it, but get sucked into all sorts of other options. And so it was that I finally planted two small fuchsias in the Camellia bed which I think will work quite well along the shaded wall area. In the front of the Camellia bed which gets a bit more light and a sniff of sun, I repeated last years exercise of planting a few Petunias. 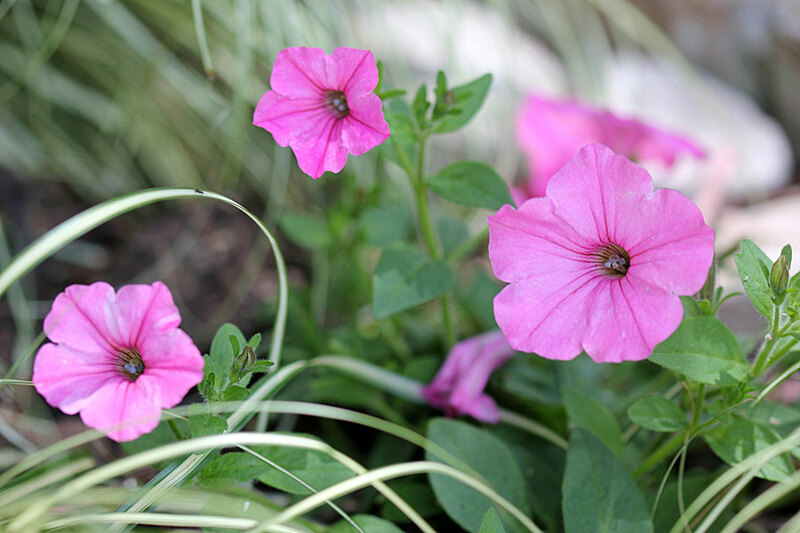 I’m not a great lover of Petunias, but have to concede that they create an almost instant colour spectacle which I feel my summer garden needs. 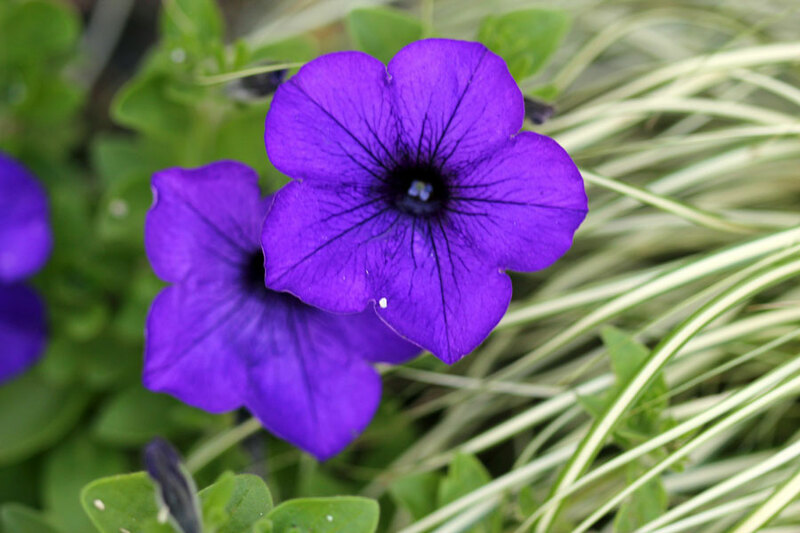 Whats your favourite flower to photograph? 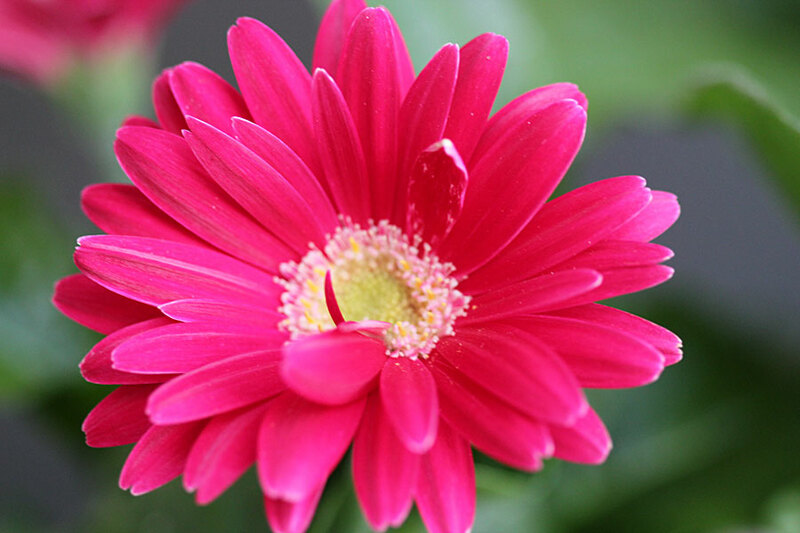 So you are now a fuchsia fan! They grow on you and once they bloom you just want to photograph them. I was also not a mad fan in the beginning. But I still don’t think I’ll join the Fuchsia Society just right now. heehee.. Love the blue petunia, my red ones are doing so well!! 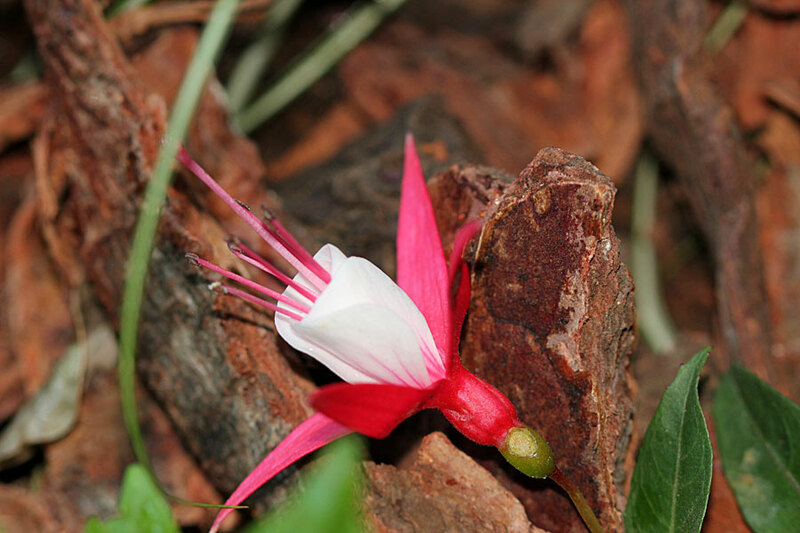 You captured the fuchsias delightfully. I wish I could grow them in New Mexico. 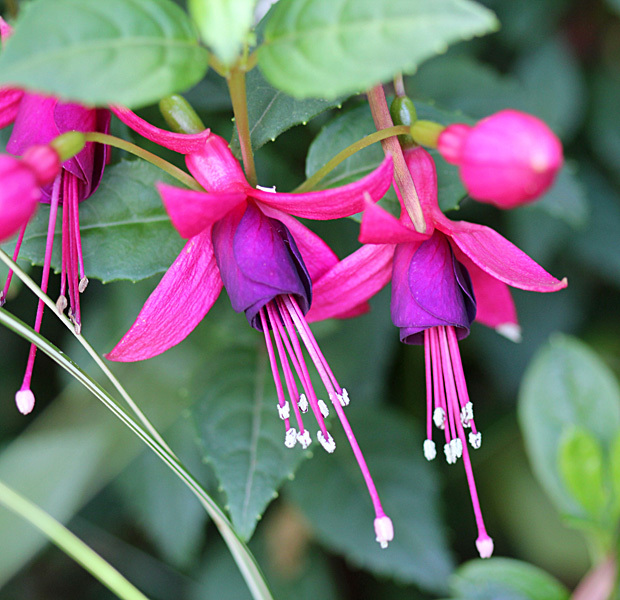 Gorgeous fuchsia photo! I love all your pops of color. Sometimes, a little tweaking of the garden is all it needs. 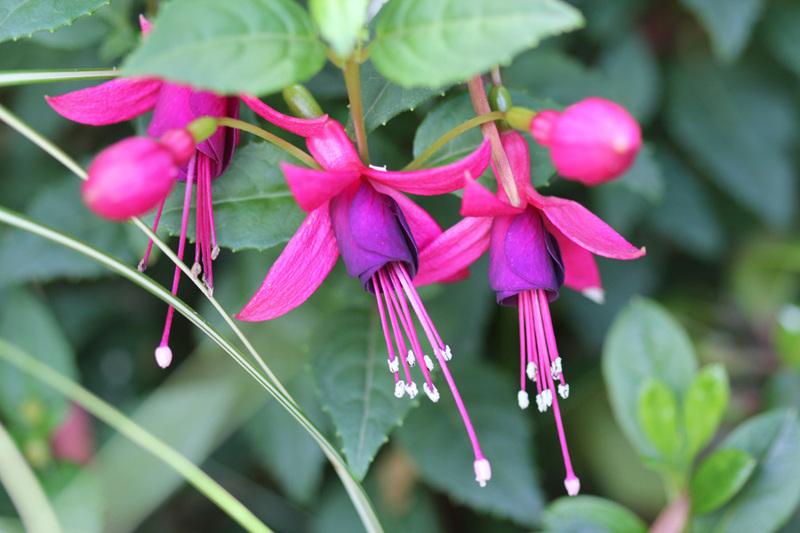 I think you got it just right with the Fuchsia Christine, I have always found that they perform best in semi shade avoiding mid day sun. I don’t know how often we go looking for a specific plant and like yourself end up with something else. Beautiful Fuchsia, and a great photo too! This is a plant I’m never really sure about — is it awesome, or too “over the top” for me? I think I’ll give one a try next year though, as another attraction for the hummingbirds at the very least.